Here’s an interesting one for you, karate climbed from one form, which kata has become lost. Interestingly enough, it’s true. Here is the story. 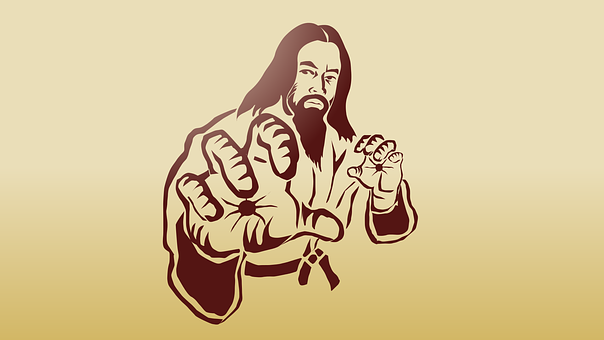 The first rumor is that Karate developed from the Crane style of Kung Fu. Might be true, but if you’ve seen videos of that form you will pro shake your head and blink a bit. The crane form is a shaky sort of quivery item, hard to imagine the movements being refined into the block and counter motions of most styles of Karate. I first saw this form on YouTube, and the reader is invited to do a search, inspect the form – the forms, I should say, for there are many versions – and draw his own conclusion. So, with this example which was hard to stick to, I decided to do a little digging, and here is the story I discovered, the story behind the art of Karate. A couple of hundred years back on the island of Okinawa, In a gloomy cave situated behind an old cemetery, lived a shipwrecked sailor. He was Chinese, and his title was Chiang Nan. Living nearby, in a home, I presume, was Ankoh Itosu. Mr. Itosu, for those who don’t understand, is one of the iconic figures of the martial arts. He studied with all the masters of the day, and he is responsible for formulating karate to a modern method. We don’t know how, maybe Mr. Itosu befriended the shipwrecked sailor, maybe one of those martial artists was out for a walk and watched another practicing the martial arts, along with a conversation, and friendship, was struck. Chiang Nan educated Mr. Itosu a martial art form. Mr. Itosu worked on the form, the working title was seemingly Channan, which could be a translation of the term’calm mind,’ or could be a translation of Chiang Nan’s name. He developed Channan into five different kata and called them the Pinans, which means Peaceful Mind. Later, when these forms were taught in Japan, they were known as the Heians. Therefore, the five Pinans became the heart and soul, the basis for the art of Karate. They became the principal forms of an art that was the choice of the Imperial bodyguards of three distinct countries: Okinawa, Korea and Japan. They’re taught to kids the world over as you read this. This, so far as I know, is a true representation of the’Lost Type,’ and the way Karate was.